Sometimes, the simplest solutions are the best – and this one is no exception. I’ll spare you guys my usual chatter, and cut straight to the point. 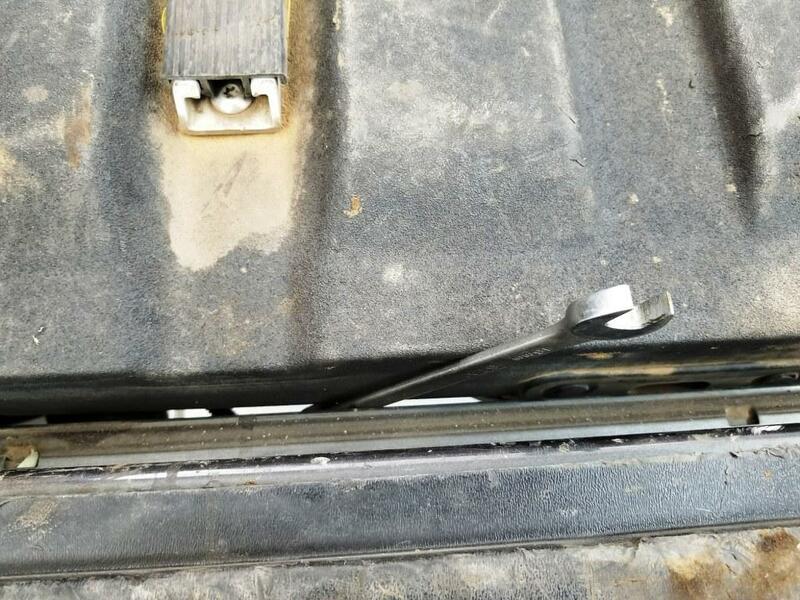 Close that tailgate with something in there, and you’re gonna leave a dent on the outside skin of the gate. 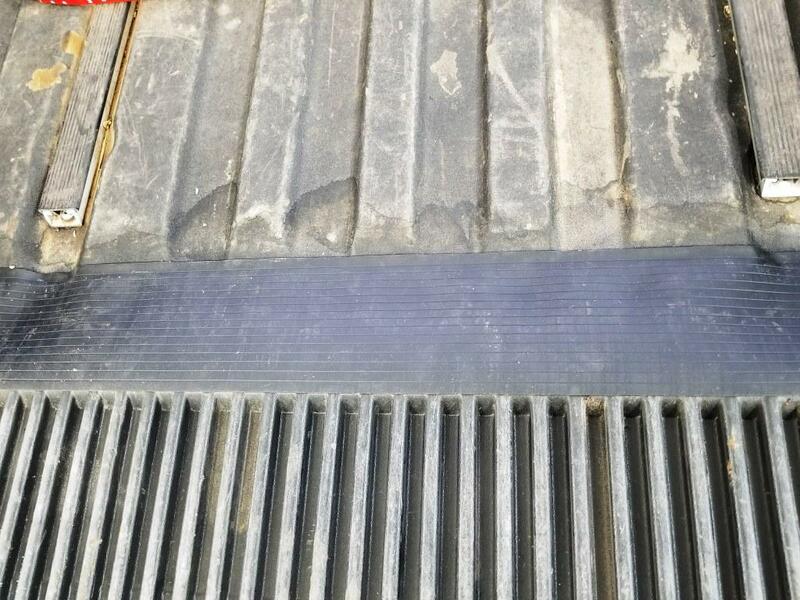 The guys at Ecoological have the answer, and as promised, it’s simple and effective, and it’s called the GapShield. 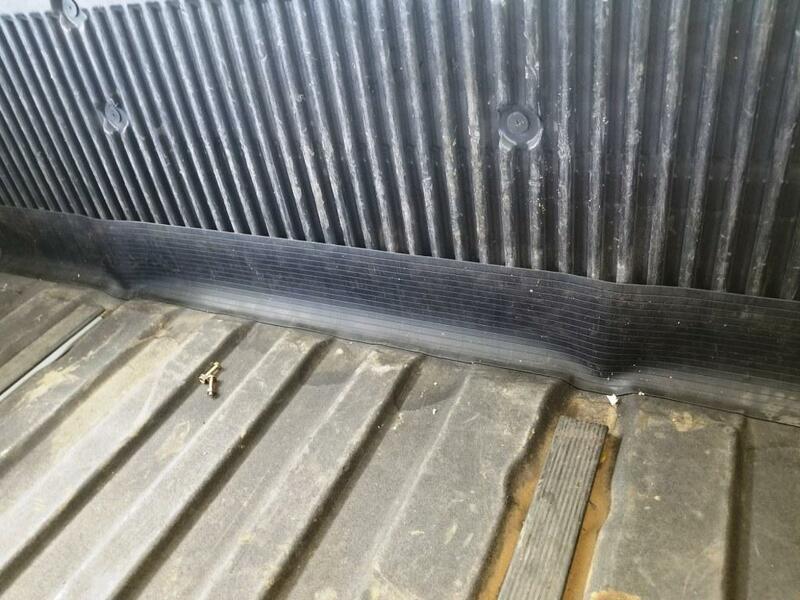 We wanted to show you how easy the install is, so you’ll snag one for your truck! Cleaning the surface is the most important part – If you own a Titan, you’ll be happy to know that the width is perfect, no cutting required. 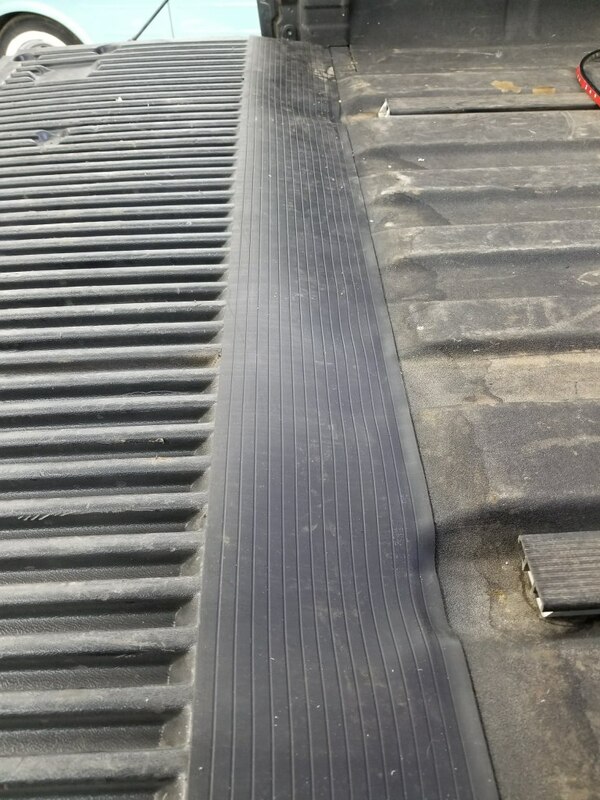 While I cleaned the edge of the truck bed with acetone (followed by the supplied adhesion promoter), I laid the GapShield out in the sun to warm it up… Way easier to install that way! From there, I simply laid out the GapShield, started removing the adhesive backing, and pressed it into place, a little at a time. Once the entire unit was installed, I let is sit out in the sun for a few more hours to ensure permanent adhesion. As you can see, it bridges the gap nicely, and looks clean with the tailgate up. I can load up with yardwork debris and sweep it out easily, AND no more crap dropping down onto my bumper! 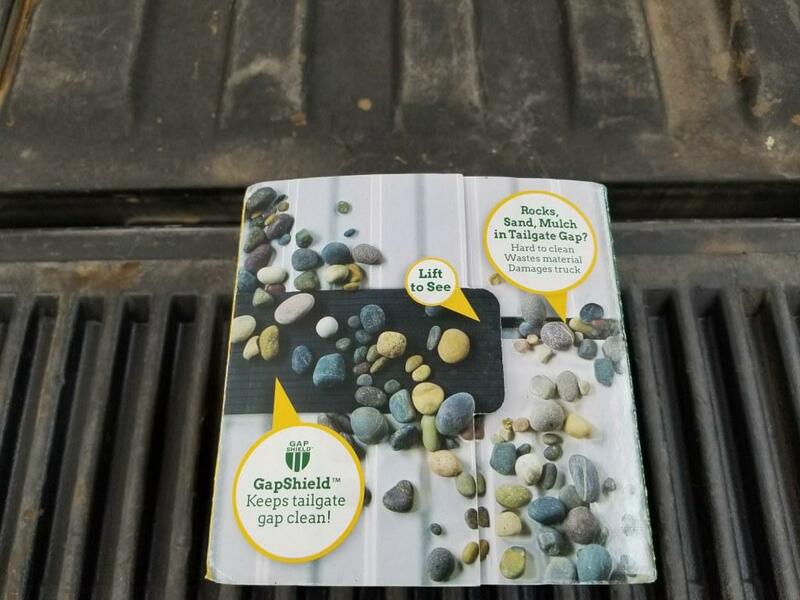 You can buy one here for under $30 (Buy GapShield for your truck) or pick one up next time you’re in Cabela’s.